Volunteer as a sports coach in Tanzanian schools and help children develop their fitness through structured physical education classes. This is a great way for you to help children get access to sport coaching, while simultaneously getting practical sport coaching experience. There is a lack of structured physical education classes in Tanzania. There is no funding for sports coaches, which means that these classes are skipped altogether or run by a teacher who has limited time to plan for sports. You’ll help by planning and running physical education classes at schools. You can focus on sports like football, netball, and volleyball, as well as general fitness. 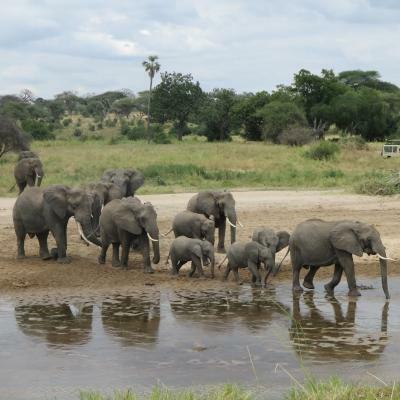 You’ll be based in the vibrant town of Arusha, and stay with a local host family. 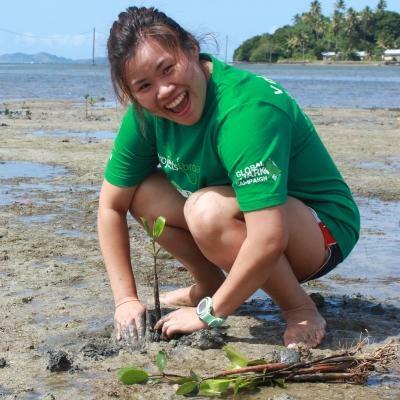 Make the most of your time in East Africa and travel and explore your surroundings with your fellow volunteers! 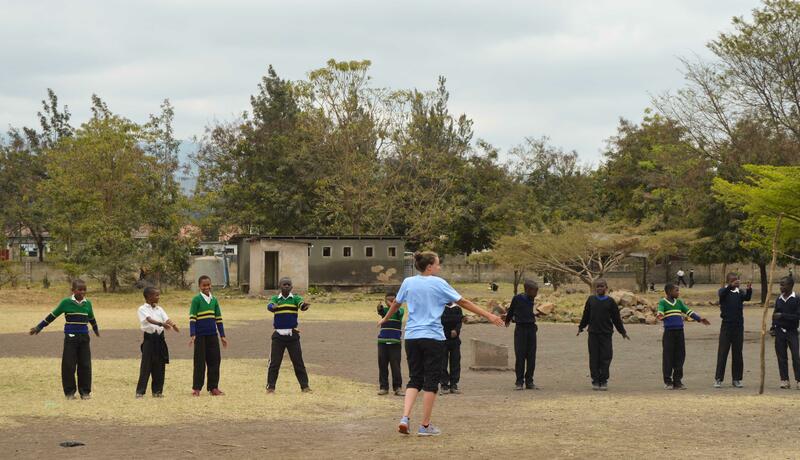 Is coaching sports in schools in Tanzania right for me? If you’re passionate about sport, eager to support those in need, and you enjoy working with children, this is the project for you. By coaching sports at schools in Tanzania, you’ll actively make a different in children’s education, and make sure they have fun exercising. You’ll also be in a position to teach them skills like teamwork. This kind of work will add valuable hands-on experience to your CV, and give you interesting points to talk about in applications and interviews. You don’t need any previous experience or qualifications to join, but it does help to have some knowledge about popular sports. 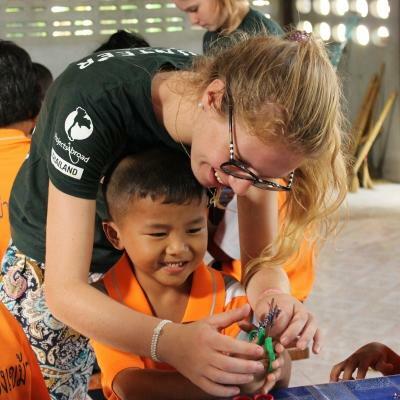 Projects Abroad staff will be there to guide you throughout your stay if you need help. This project runs throughout the year, and you can join at any time from a minimum of two weeks. We do recommend you stay longer so that you can make more of an impact on your students. You should also be aware that monsoon season runs from mid-March to the end of May, so you may not want to join during this time. 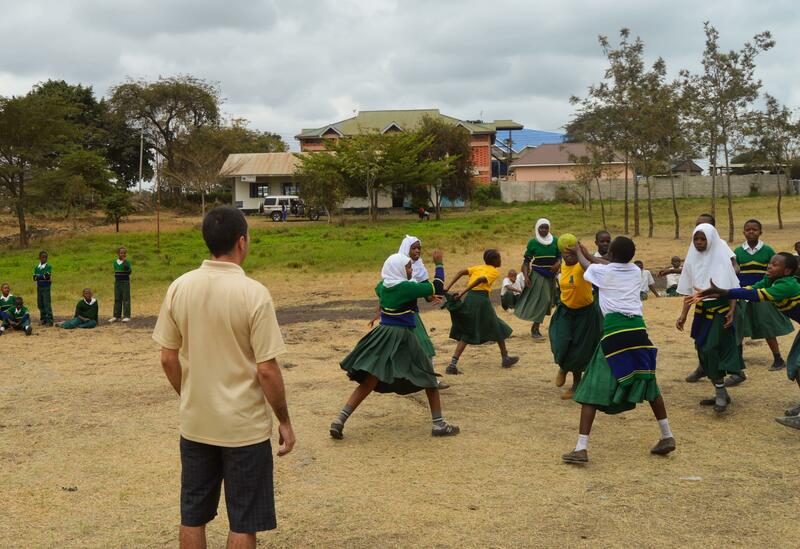 What will I do as a volunteer school sports coach in Tanzania? You will spend most of your time planning and running physical education classes at a primary or secondary school. You’ll be the main teacher, so you need to be prepared to take initiative. Local staff are there to support you. This will allow you to get creative with your coaching methods and introduce new sports and games. You may be teaching dozens of children at a time, so you will need to plan for this when preparing your lessons. You’ll need to ensure that each child has the opportunity to participate. If you’re looking for guidance or advice, you can reach out to our Projects Abroad staff at any time. Through these sports sessions, you’ll enable children to become fitter and healthier and teach them to work as a team. It also gives the children a safe space to learn and grow after school. You can also ask to rotate between two or three schools during your stay, so that you can work on arranging tournaments. You’ll work at primary and secondary schools in a small, rural community about 40 minute drive from Arusha. You’ll stay in Arusha throughout your stay and use public transport to travel into USA River. The schools we partner with are disadvantaged with limited funds. This means you will need to get creative with your physical education classes, as you may not have access to the equipment you’re used to. Furthermore, most schools don’t have the resources to hire a physical education teacher full time. 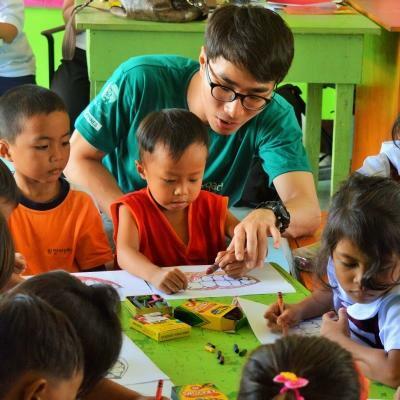 This means that most of the time, children don’t have physical education classes unless there is a volunteer like you there. A gateway to national parks and safari destinations in Tanzania, Arusha is a bustling city located at the foot of Mount Meru. Enjoy a delicious meal at a local restaurant, go shopping, or head off on a safari! 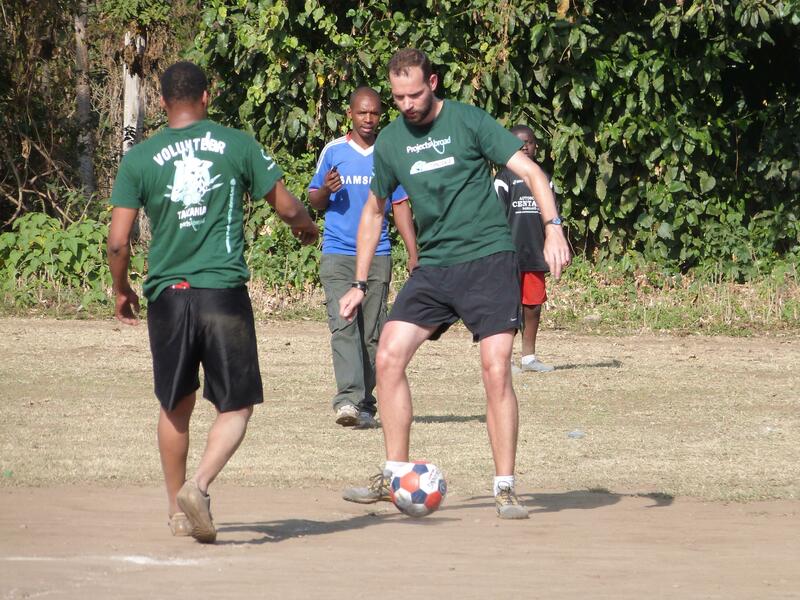 What does a typical day as a volunteer sports coach in Tanzania look like? You will begin your working day with breakfast with your host family. Once you are ready, you will make your way to your school placement. On your first day of work, a Projects Abroad member will accompany you to show you the way. Classes in Tanzania usually start from 9am, and you will spend the morning running physical education classes for students. When you are not teaching classes, use your time to prepare for future lessons and come up with creative ways to get the kids moving. After the school day ends at around 2.30pm, you will spend the afternoon coaching sport. Football is the most popular sport, but you may also get the opportunity to coach netball, volleyball, or rugby. Use this time with the children to improve their sporting skills, encourage teamwork and teach them about the benefits of participating in sport. Your work day will end at around 4.30pm or 5pm. 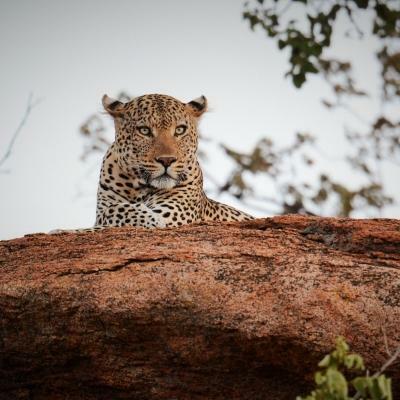 You will then have evenings and weekends free to experience Tanzania. The main aim of this project is to provide our partner schools with structured sports education. Most of the schools we work with are located in disadvantaged areas. We have chosen to partner with them because we have identified a need there. They have limited resources and funding, and cannot afford to hire a dedicated physical education teacher. Sometimes other teachers run sports classes, but these are not structured, and other subjects are usually prioritised. 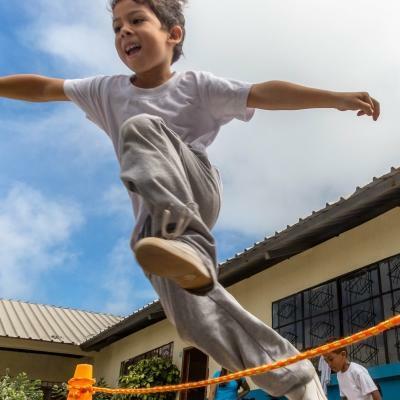 This means that the children miss out on regular physical activity, and aren’t able to learn to play different sports. This is why we need the help of volunteer sports coaches like you. You’ll plan and run physical education classes focused on teaching different sports and developing fitness. You’ll also help the children learn about the benefits of teamwork, which can raise their self-confidence. Join us in Tanzania and experience the beauty of East Africa while helping children develop through sports and physical activity.